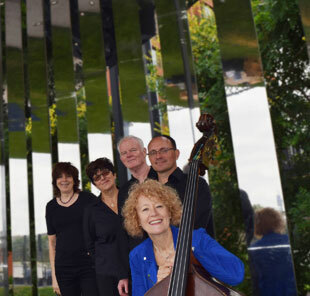 Described by LondonJazzNews as ‘a celebration of life itself’ ARQ’s music is ‘inventive, vibrantly colourful and unfailingly melodic, possessed of a strong sense of narrative and cinematic quality, frequently inspired by personal experiences’ (the jazzmann.com). ARQ play ‘songs without words’ and are known for their vibrant, communicative performances. They’ll be previewing the new music from their third album – working title ‘Short Stories’ – to be released later this year.